Editor: This is the second in a two-part series by Jim Bell, one of OB’s itinerant globalists. Here is Part One. On the most fundamental level, answering this question comes down to consciousness. If each of us and the human family as a whole, become conscious enough, it will be easy to resolve human differences without violence or its threat and develop economies and ways of life that are beneficial to everyone and are completely life-support sustaining. It’s true that some people have done and are doing despicable things to other people and to our common life-support system, but on the whole, we are becoming more conscious. The expansion of women’s rights, the general rejection of racism and the fact that governments no longer sanction slavery — are just a few examples of our increasing consciousness and empathy. Never-the-less, we are not yet conscious enough to stop hurting and killing each other and damaging the only life-support system our planet has. It’s my belief, that if we really want to leave our children and future generations their best chance to enjoy a happy, healthy, prosperous and completely life-support sustaining future, we have to be conscious enough and knowledgeable enough to develop ways to live and make livings that are mutually beneficial and life-support sustaining, wherever we live and planet wide. If we don’t achieve a life-support sustaining future soon, we will follow the path worn by previous advanced civilizations, all of which utterly failed at the height of their most advanced knowledge and sophistication. YET, if we become conscious and knowledgeable enough, soon enough — we can skip the decline and die off phase of past civilizations. Instead, we can propel ourselves to the next level of consciousness and the new potentials it will open to us and to the human family’s future. Obviously, our task is to meet this challenge, but how? The answer is simple. We need to develop economies and ways of life that are prosperous, mutually beneficial, secure and life-support sustaining — wherever people live and ultimately planet wide. Step One – Become renewable energy self-sufficient. When a home, community, city, county, region, state or country controls its energy supply and price, it controls its economy, its ways of life, and almost everything else — no matter what happens to the price and supply of energy on national and global markets. Because solar energy in its various forms is free and even delivered free, the only cost to benefit from it are the labor and materials required to increase energy use efficiency and manufacture and install renewable energy collection and conversion to electricity devices. Given that our inventors/developers are still getting better at saving energy and converting various forms of solar energy into electricity, the cost of efficiency improvements and renewably generated electricity will continue to fall. To make renewable gaseous and liquid fuels, renewably generated electricity can be used to gasify (heat up in a closed low oxygen chamber) clean wood wastes, urban landscape trimmings, and thinned chaparral (in the San Diego/Tijuana Region where I live). In the gasification or pyrolysis process, liquid fuels in the woody feed-stock are driven off by heat and then converted into renewable oil, liquid and gaseous fuels, charcoal, and soil amendments. Thinning chaparral will also reduce the occurrence and severity of wildfires and the economic and habitat loss they precipitate. Every level of becoming renewable energy self-sufficient creates opportunities. For example, in the San Diego/Tijuana Region where I live, there is an abundance of direct sunlight, wind, biomass, ocean current, wave and tidal energy from which electricity can be produced. 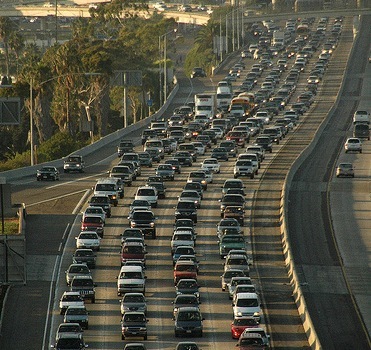 But even if direct sunlight was the region’s only resource, and assuming 40 kWh of electricity, natural gas and transportation fuels are consumed directly or indirectly per capita per day, the San Diego/Tijuana region could become renewable energy self-sufficient by increasing energy use efficiency by 40% across all energy use sectors and by covering 32.3% of its roofs and parking lots (shaded parking) with 20% efficient PV panels. As a bonus, a renewable energy powered San Diego/Tijuana Region, would convert the region’s current $6 billion-negative-energy-purchase-cash-flow into a $6 billion-positive-energy-purchase-cash-flow. Assuming an economic multiplier benefit for every dollar spent on locally generated energy, at least one additional dollar of regional economic activity will be generated. This means that becoming renewable energy self-sufficient will add at least $12 billion of economic activity to the region’s economy each year. Assuming that 40% (could be as high as 57%) of the $12 billion spent locally is paid to workers, 40% times $12 billion equals $4.8 billion in wages. Dividing $4.8 billion by $50,000 per job-year of employment equals the generation of 96,000 job-years of employment per year paying an average of $50,000 per job-year of employment. Step Two – Become renewable water self-sufficient. Water is essential to life. It is essential to the water-rich lifestyle most people in the developed world already have and that people in the developing world would like to have. The population of the Greater Tijuana part of the region is more or less the same as the population of San Diego County. Everyone in the Tijuana part of the region would like to use the same amount of water as is used per capita in San Diego County, around 180 gallons per capita per day.. Given the assumptions above and also assuming the worst case scenario of zero rainfall and zero imported water, how can the San Diego/Tijuana Region become freshwater self-sufficient? As it turns out, covering 3.75% of the roofs and parking lots (shaded parking) on both sides of the San Diego/Tijuana region with 20% efficient PV panels will generate enough electricity to extract 776,000 acre ft. of freshwater from sand filtered seawater through reverse osmosis (RO) on each side of the border per year. For reference, the San Diego County side of the region currently uses around 600,000 acre ft. of fresh water per year. If all cost-effective and life-support-system-effective ways to use water more efficiently, use graywater and disinfected recycled sewage water for irrigation, and rainwater runoff is collected and stored for use during the region’s dry months, only 1.5% if the roofs and parking lots on either side of the border would be need to have 20% PV panels over them, to make the whole region completely renewable water self-sufficient. To protect sea life from the RO process, naturally sand filtered seawater will be extracted from wells close to the ocean. Wastewater or brine left over from the RO process will be evaporated in shallow open ponds so salt and other minerals left behind can be mined. When any RO wastewater is returned to the sea, it would be diluted by sand-filtered seawater to be no more than 20% saltier than natural seawater. Then It would be released into the ocean diffusely. Step Three – Become renewable food self-sufficient. With renewable energy and water self-sufficiency, comes the ability to be renewable food self-sufficient. It also allows for the growth of a great deal of the fiber and lumber. To make this real, it is essential that we protect our agricultural soils from further development and other misuse. Research indicates that we still have enough agricultural soil on our planet to feed everyone a nutritious diet of tasty, sustainably-grown food with lots of variety. With renewable energy powered RO, this is true for the San Diego/Tijuana region. Unfortunately, this will not be true for San Diego County or our world for long if we do not protect and preserve our best agricultural soils for life-support sustaining agriculture. Women to be completely free to direct their own lives as long as they don’t restrict the right of others to do the same. Every man becomes an ally to ensure that women have every freedom to direct their own lives, culturally, under law and to pursue fulfillment in any field open to the human family. The world’s women freely chose to have an average of no more than two birth children per mother during their life. Since some women would choose to bare no children and others only one, some woman could bear three or more children as long as average birth of children per woman remained no more than two children planet wide. If the above was practiced worldwide, the world’s population would decline by ½% per year or for every 1,000 deaths, there would 995 births. A ½% per year world population decline would reduce the world’s population to 2.5 billion people in 200 years. This was the world’s population around 1955. We already have the technology to locate all earth-orbit-crossing space objects. If we discover them soon enough, we also have the technology, to deflect earth bound objects large enough to cause serious life-support harm if they collide with us. We could even capture such objects into earth or moon orbits for scientific study and mining. Step Six – Create a Real Free-Market Economy by Adopting “True-Cost” or “Cradle to Cradle-Pricing”. Today, almost everything humans do causes life-support system harm. More precisely, it’s not so much about what we are doing, but about HOW we are doing it. The ways we support ourselves now depend on using up ever more non-renewable resources and using renewal resources in ways that make them difficult to renew. The result is over flowing landfills and evermore destruction of virgin land for raw materials to replace those we bury. With true-cost pricing and cradle to cradle pricing, the true-cost all products and services offered in the marketplace would be determined by an independent body. Perhaps Consumer Reports Magazine which doesn’t advertise products or services could be hired for the job. The primary job of this body would be to add up the costs of healing people and cleaning up our planet’s life-support system from ongoing human health and life-support system assaults. Once these costs are determined, they would be added to the retail price of products and services that directly or indirectly cause them. Currently, the public, through taxes, health costs, property damage, etc. pay these costs. By paying them, the public is caught in the ironic position of actually subsidizing the very products and processes that are harming them and their common life-support system. Additionally, these subsidies retard the development of technologies that are more health and ecologically benign or even positive — by artificially lowering the retail cost of ecological, health and socially damaging products and services. With true-cost and cradle to cradle pricing, products and services with the lowest true or cradle to cradle cost would also have the lowest retail market price. As technologies become more ecologically sophisticated there is no reason for commonly used products to be any more expensive to purchase than they are now. In fact, in spite of the subsidies supporting health and life-support damaging products, the market price of some “Green” products is already lower than harmful products they replace and they usually work better too. But even if green products and technologies end up costing more at the point of purchase, under true-cost-pricing they would still be more cost effective to society. It’s less expensive to prevent ecological and social problems, than to fix them after they have been created. Incentivizing designers and manufacturers to create products and services that are in harmony with human and our planet’s life-support system’s health. The elimination of solid waste disposal. With true-cost-pricing or cradle to cradle pricing, everything sold in the marketplace would be designed to be reused, recycled or composted. When all costs are included, this is the most cost effective thing to do. The elimination of the pollution of air, water and food. There is a general view that the free enterprise system is the antithesis of a healthy environment. With true-cost-pricing or cradle to cradle pricing, free market forces will be powerful tools toward creating a more secure life-support sustaining future. Bottom line, if we want to leave the birthright of a happy, healthy, prosperous, life-supporting sustainable future to our children and future generations, these 5 steps are the minimum we must do, and the sooner the better. We’ve come so far, why blow it now? We know what can be done. All we have to do is do it. If those living over the next 60 years or so develop life-support sustaining economies and ways of life planet wide, there is little to stop us from accomplishing anything we can imagine including sustainably colonizing other planets in our own galaxy and beyond in life-support sustainable ways suited to . For details on an investment strategy to make the San Diego County side of the region renewable energy, water and food self-sufficient, go to www.jimbell.com and click on “Green Papers”. Although this paper focuses on San Diego County becoming renewable electricity self-sufficient, the investment strategies it develops can be used to become renewable energy self-sufficient for gaseous and liquid fuels as well. This strategy can work almost anywhere on our planet, modified for climate, renewable energy sources available and other local conditions. With additional modifications, it will also work for becoming renewable water and food self-sufficient as well.